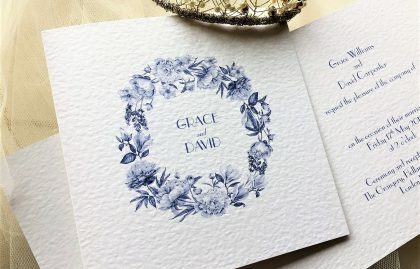 Our Blue Botanical Wedding Stationery is supplied on a thick heavy weight (270gsm) hammered card and is available on white or ivory card. 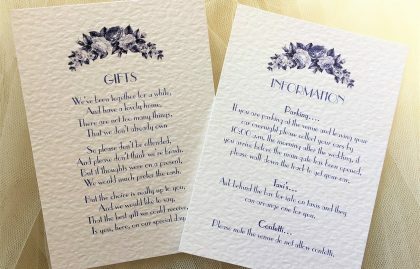 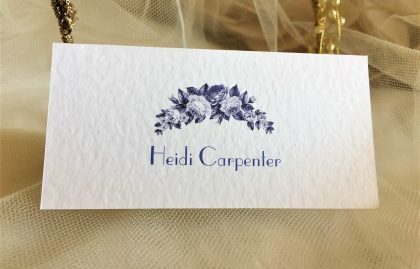 If you’re looking for a crisp, fresh, and simple design this elegant range of wedding stationery is perfect for you. 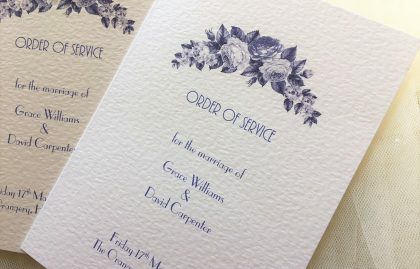 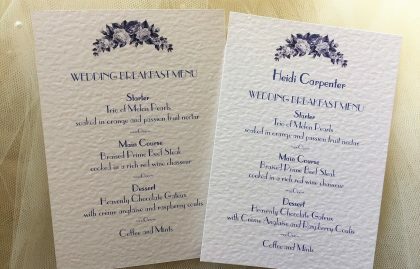 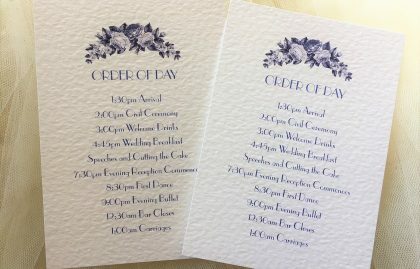 There is a good selection of font styles to choose from and we can print your stationery text in any colour to match a colour scheme.